A UK food tech company has created an ingenious film packaging solution which prolongs the life of fresh fruit and veg and significantly reduces food waste. The new ‘purposeful packaging’ technology reduces food waste in supermarkets, in the supply chain, and in the home and is the latest addition to the It’s Fresh! product portfolio. 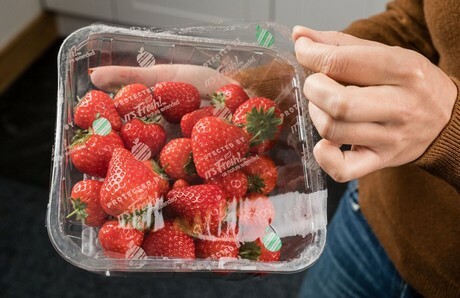 Infinite™ is a new sustainable delivery system that utilises a proprietary ‘active ingredient’ that can be printed directly onto existing packaging for fruit, vegetables and even flowers to prolong shelf life and extend freshness and quality by absorbing the natural ripening hormone, ethylene. After 3 years in development, Infinite™ is soon to be trialled on packs of berries in leading supermarket Morrisons. 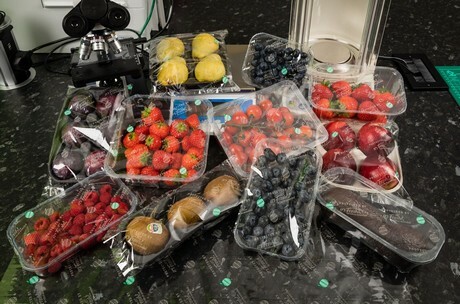 Tests have proved that Infinite™ is more efficient at extending quality and freshness of fresh produce and more environmentally friendly than any alternative methods that are currently being used, because Infinite™ is non-invasive and can be used in packs of ‘naked’ untreated or uncoated fruit. The tech is the latest innovation by leading UK food tech company It’s Fresh!™, the firm behind the unique filters used by supermarkets to extend the life and quality of fruit by two to four days. Now adopted by many of the main supermarket chains worldwide, It’s Fresh!™ is setting new industry benchmarks for reducing waste in food production and consumption. Simon Lee, the co-founder of It’s Fresh!™, said: “We are a nation of fresh fruit lovers, and are used to being able to buy our favourites all year round, whatever the season. This creates huge challenges for farmers, importers and supermarkets globally to keep produce fresh in transit. There is a big debate about food packaging at the moment. It’s Fresh!™ this week also announced the results from their latest series of trials showing how their technology prolongs the life of strawberries, blueberries, cherries and bananas in storage and in transit. Independent trials on French strawberries this summer have seen excellent results, improving quality and life by nearly 50% over the control packs. The trials were managed by an independent French laboratory on behalf of Carrefour who already use the It’s Fresh!™ technology on other products within its range. We import blueberries from all over the world in the UK to enable us to buy the fruit year-round – sourcing our berries from countries including Central and South America, Morocco and mainland Europe. Shipments from Chile, for example, can be in transit for 3-4 weeks and 50-60% of blueberries are ‘graded out’ once they arrive in the UK because they do not meet the strict quality standards. Recent blueberry trials were conducted in Poland, a country which exports 25,000 tonnes of the berry each year. Those packed with It’s Fresh!™, stored over a six week period, had 40% less waste than those without. Cherry growers have similar struggles ensuring their fruit retains its freshness in transit. Growers in Greece conducted a three week trial to measure whether the It’s Fresh!™ filters could help their cherries retain their bright colour and firm texture. The trial proved that It’s Fresh!™ filters gave cherries 3 days extra life, and the grower is looking to include the filters for next season’s exports in May-July 2019. Tests on bananas in Australia, where huge domestic transit distances mean that many batches are rejected upon arrival found that the filters increased their life by 2-3 days. It's Fresh!™ Director Peter Durose said: "We're delighted with the trials and their outcomes. The results clearly show the advantage of the technology we've pioneered. "A huge amount of food gets wasted during import and export so anything that slows ripening can have a big impact. "Delicate fruit such as blueberries are a good example with 50/60% going off (being graded out) by the time they reach their destination. Our trial shows we can prolong the life of blueberries by 40% which would make a enormous difference for growers, importers, supermarkets and ultimately consumers." It is clear that the carbon footprint of Britain’s fresh fruit and veg consumption must be addressed and the new technology developed by It’s Fresh!™ provides a means of ensuring that far more fresh produce makes it to our shelves. There is immense pressure on growers and exporters to prevent their fresh produce ripening in transit and causing huge wastage. It’s Fresh!™ utilises existing packaging to make it more functional and purposeful, to ensure that less resources are wasted in the food supply chain. 2019-04-24 "Carton offers high print quality and optimal recyclability"